News of Heartbleed broke a week ago, and it’s still a hot topic across the globe. Many firms have patched up the hole, and most people have changed their passwords. The first exploits are starting to surface now, so there’s still a long way to go before the “web is fixed” so to speak. I know I should be more concerned with the fallout of this major threat, but all I can think of is: nice brand! Have you noticed? For a big scary bug, you’ve got to admit it’s got a cute logo. Its “rockstar” brand is better than what a lot of companies I see daily have! Think about it. In every blog, news page, tech site, email, TV broadcast, anywhere that Heartbleed is brought up, the same logo is used. It’s consistency. Brand consistency. Bravo! That’s all thanks to Codenomicon, the firm that found the bug last month. Knowing this threat would be plastered all over the news and blogs worldwide once exposed, they laid claim to it by giving it a name, a logo, and even a website! It’s brilliant really, if a tad self-serving. I can only imagine the sorts of adhoc crazy logos or images that designers around the world would have slapped together just to supply a graphic for a blog or news site. 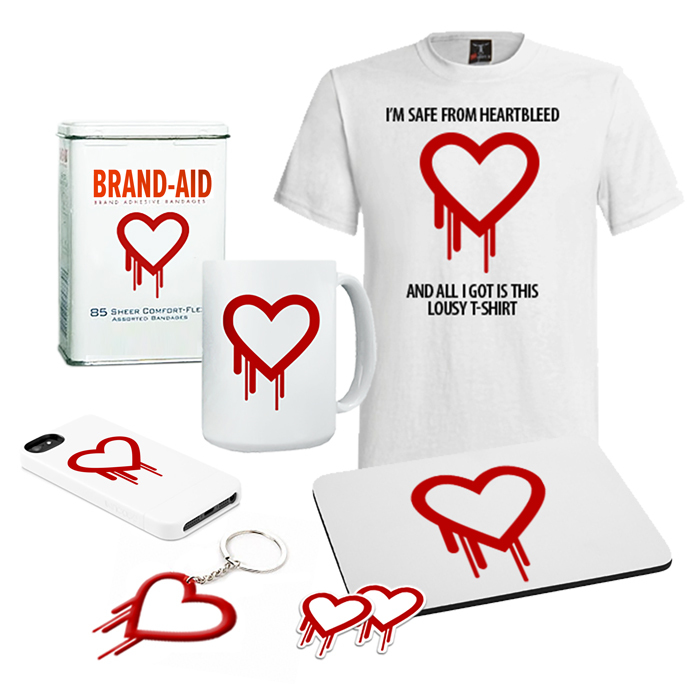 True, Heartbleed’s brand is just shy of having “brought to you by Codenomicon” asterisked at the bottom of it all. Hey, free press is free press. But thanks to them, the world at large had everything they needed to report on the biggest threat to hit the internet. A website with all the answers, and a logo to slap onto everything. All wrapped up in a neat little package! All branding uses KISS (Keep It Simple Stupid) standards, which I love. Heartbleed has more of a ring to it than CVE-2014-0160 does. While literal, it keeps in line with the name and goes with the obvious color choice (hearts are red, so is blood!). Overall its cute factor contrasts the severity of the threat quite nicely. No text = no need to worry about fonts. It’s language neutral, so no snags trying to localize it (that always gets messy, trust me, I know). Don’t be surprised if future threats get the same red carpet treatment. Any tech firm would love the same attention. Soooo… how does your brand measure up?